It goes without saying that any sort of a toilet issue can be an unpleasant situation to be faced with as a homeowner. If you are dealing with a malfunction of some sort, it can leave you with a problem where your bathroom could become unusable. In addition to that, issues with your bathroom can make it difficult for both your family as well as any guests who stop by. You can count on Trident Plumbing & Drain Cleaning to help as your number one choice in a toilet installation & repair service in Arlington. The tank of the toilet keeps filling with water, which is a tremendous waste. Although such issues can be rather common for a homeowner to face, they are a nuisance and need to be addressed sooner than later. You can have these problems repair quickly and efficiently when you have the right team of professionals on your side. This is where our trained technicians at Trident Plumbing & Drain Cleaning come in handy. When something happens that renders your toilet unrepairable, you can trust our staff at Trident Plumbing & Drain Cleaning to take care of the new installation for you. We can come out to your home, assess the situation and get you the updated toilet installation that you need to make sure that your bathroom is functional once again. 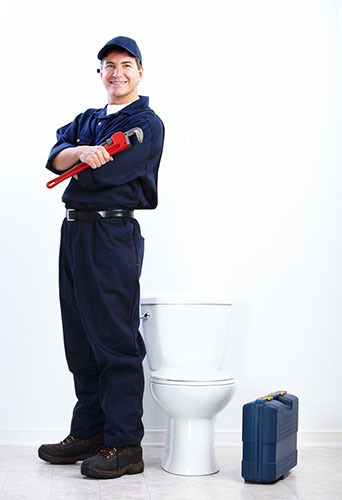 If you need a dependable toilet installation & repair service in Arlington, trust Trident Plumbing & Drain Cleaning. Call us today at (425) 321-6043!